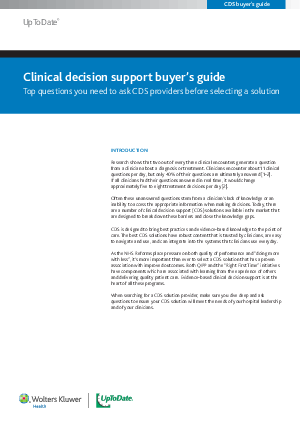 Selecting a CDS solution is more than providing information to your clinicians. It's about choosing a solution that can impact the overall quality of care at your institution. Knowing the right questions to ask CDS providers will help guide you when making a purchasing decision.